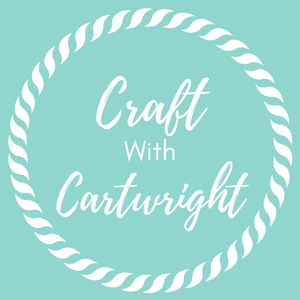 Hi I'm Ruth and I'm a lifestyle blogger at Craft with Cartwright, I also work as a high school DT teacher, teaching food and textiles. I have a wonderful husband and two boys aged 9 and 5. I live in beautiful rural Herefordshire in the West Midlands. I love it here and couldn't think of living anywhere else. Because we are in the countryside, there are always so many walks to go on. I love it as it gets the boys out of the house, we all get some exercise. Plus it's free! I'd rather not live anywhere else, but if I had to choose I would probably pick Germany. I loved it when I went on exchange at high school and it's very similar to here in many ways. 5.) Did you grow up close to where you live now? I grew up about twenty miles from where I live now. My favourite memories are walking myself home from primary school at lunchtime for lunch, through our tiny village. Everyone used to comment on my singing as I passed. It just wouldn't happen these days. We are hoping to do a road trip across America next summer. Hubby and I did it when I was twenty-one and we had a blast. I would love to re-live it with the boys now they are old enough to cope with the long haul flight. Having someone there when you wake in the morning. Life can be so lonely otherwise. Thank you for taking the time to answer these questions Ruth, it sounds lovely where you live and like you are very settled. A road trip across America sound amazing, I would love to do something like that when my children are older as I bet it is such an adventure. Don't forget to check out last weeks post featuring The Life Of Spicers if you missed it. If you would like to take part in Other Bloggers Family Lives then please send me an email at newcastlefamilylife@gmail.com as I am always looking for bloggers to take part.